Day 87 - The Perfect Afternoon Snack! Click here for the Easter Egg Thumbprint Cookie recipe! Day 88 - Princess Lacie wanted Yellow Nails! I actually had to buy yellow nail polish because it is the one color I did not have! It amazes me that she will sit still long enough to get her nails and toes done! Day 89 - Clean Sheet Sunday! Every single Sunday I wash everyone's sheets and blankets! Going to sleep on clean sheets is one of life's little pleasures! It makes facing Monday Morning a bit better. Day 90 - I have the best husband who is always home to help me with the girls! But even he deserves some guy time! 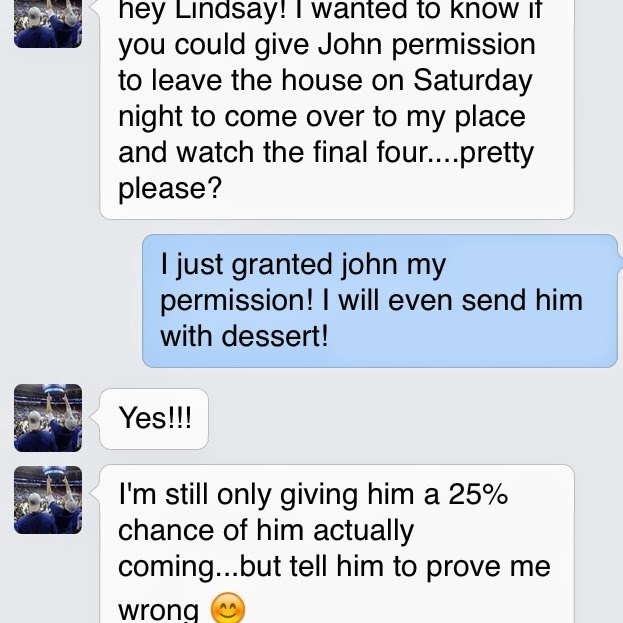 His friends go through me because they know that he will never commit otherwise! Day 91 - Opening Day! In the Hilosky House, you are born a Yankee Fan! Day 92 - 8:15 am and this sweet girl was still out cold. Oh did she stay up late you might ask...nope she just loves to sleep! Most nights (including the night before this picture) she is sound asleep by 7pm. Day 93 - It is so special that my dad comes over to visit and have breakfast every morning! 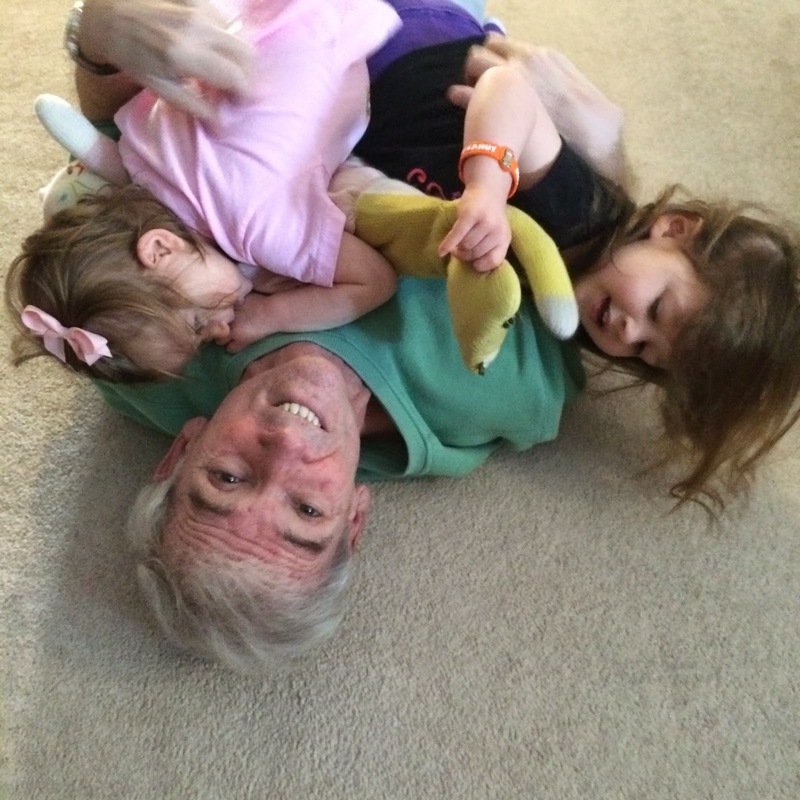 Today, the girls piled up on Pop-Pop!!!! There was lots of laughing as I was in the kitchen cooking!